Sue Bird has an eye for basketball talent. Here’s how she’s using it in her NBA role with the Nuggets. A three-time champion with the Storm, Sue Bird used her offseason to keep working. Just in a different way. While she's still preparing for another title run in the WNBA, she's also working as a basketball operations associate with the Denver Nuggets. 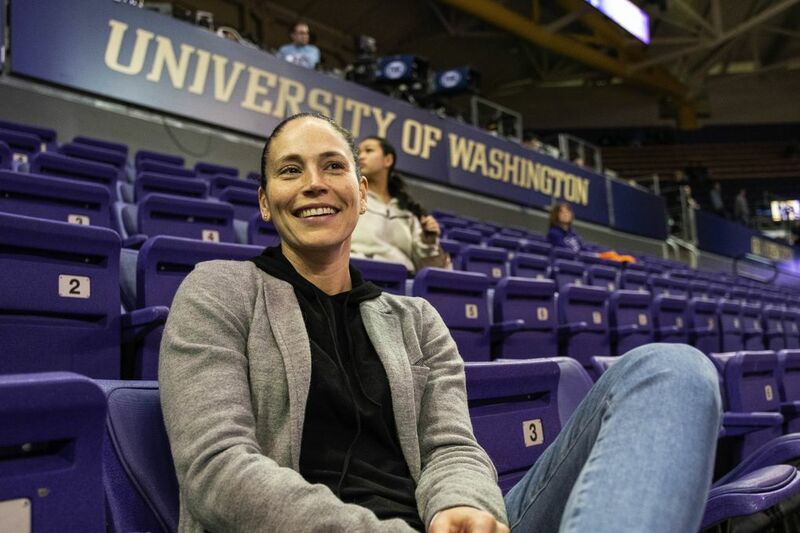 On a January evening, Sue Bird slips into Alaska Airlines Arena about an hour before a Washington men’s basketball game and settles into a seat just a few rows up from the court. Since joining the Denver Nuggets as a basketball operations associate last November, she’s discovered an affinity for evaluating college and professional players. However, her status as a Seattle sports legend doesn’t afford the Storm star anonymity and on this night a steady stream of fans congratulate her for winning a third WNBA title last summer. 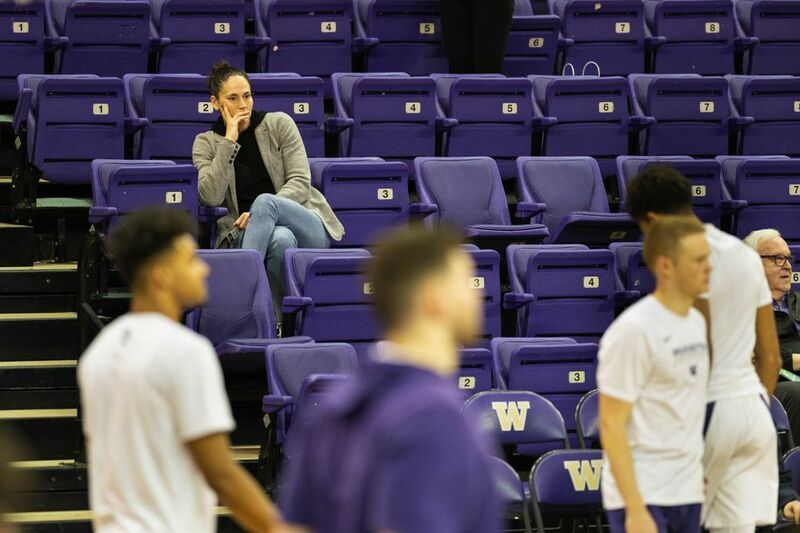 She then finds another empty seat where she watches the Huskies and USC Trojans participate in pregame warm-ups, keeping an eye out for potential draft talent. In her new job with the Nuggets, Bird is learning first-hand about the many roles of an NBA front-office executive. She was in the room as Nuggets management discussed trade options before the NBA trade deadline. She’s actively involved in the team’s pre-draft conversations, too. It’s tedious work, but sometimes those mundane duties are juxtaposed with high-profile assignments such as Friday’s NBA All-Star celebrity game where she’ll coach opposite Hall-of-Famer Dawn Staley in a star-studded event that’ll include former Sonics standout Ray Allen. Still, Bird says the best part of her new gig is scouting. When: Friday, Feb. 15 at 4 p.m.
Where: Bojangles’ Coliseum in Charlotte, N.C.
Bird is one of more than 20 current or former WNBA players and coaches who are working in the NBA or G-League this season. It’s a list that includes Hammon, who is San Antonio Spurs coach Gregg Popovich’s top assistant; former Storm coach Jenny Boucek, who joined the Dallas Mavericks’ coaching staff, and longtime WNBA executive Kelly Krauskopf, who was hired by Indiana and became the league’s first female assistant general manager. No major men’s sports league has ever hired a female coach or general manager, but the NBA has traditionally been the most progressive of the American sports leagues. “You’re just trying to do your best and when the opportunity presents itself, you’re trying to take advantage of it,” Bird said. “But I think simultaneously, in the back of all of our heads, we do realize that we’re breaking down barriers. The 38-year-old Bird was 16 when the WNBA started in 1996 and she had role models like Staley who inspired her to become a professional basketball player. Now Hammon is blazing a new path for young girls, and Bird believes it won’t be long before the NBA hires a female head coach. “It’s only a matter of time,” Bird said. “I don’t see why a female head coach isn’t right around the corner, Becky in particular. Bird laments the fact that the WNBA isn’t making it easy for players to break into the NBA, citing the struggles of Washington Mystics guard Kristi Toliver, who is working as an assistant for the NBA’s Wizards this season. Due to WNBA rules intended to prevent teams from circumventing the salary cap, the Wizards are paying Toliver $10,000 for a position that normally pays between $100,000 and $1 million per year. “This is where it gets frustrating for all of us, especially for Kristi,” Bird said. “This isn’t a job that was given to her to sign for Washington. She’s already making the max … and it’s not like they paid her less and then found a way to give her the extra money on the backside. While many WNBA stars play overseas during the offseason, Bird and Toliver are the only active WNBA players working in the NBA. Players are fed up with the current policies of the WNBA, and many opt to find jobs in basketball overseas. The current collective bargaining agreement was signed in 2014 and runs through 2021, but the players opted out in November 2018 and will address issues with compensation, among other things in upcoming negotiations, Bird said. “I am heated (and) it’s not about being heated, it’s the difference between what’s right and wrong,” she said. “I don’t want salary cap circumvention either. I don’t think anybody does. You want teams to play fair. But this isn’t about that. This is a kid who is following her dreams and got a job on her own and it just so happens to be in the same company. The pay restrictions that limit Toliver’s salary don’t apply to Bird because the Nuggets and Storm have two different owners. Shortly after helping the USA Basketball team to a gold medal at the FIBA Women’s Basketball World Cup, Bird joined a young Nuggets team that’s now second in the Western Conference behind Golden State with a 39-18 record. Bird isn’t sure if she’ll return to the Nuggets next season. She’s just now getting back into the gym in preparation for Storm training camp in May. The 18-year WNBA veteran doesn’t give retirement a lot of thought, but she has options in coaching, broadcasting and now front-office management whenever she decides to end a her playing career. “It is kind of cool to think that we are a part of his trail blazing group and we are breaking down doors,” Bird said. “In my mind, women’s basketball players are an untapped resource. Now we’re at a point where the league has been here for 22 years. We have players who have years and years of professional basketball experience.